This week we were honored to host Threads For Teens a charity that’s goal is to brighten the lives of young, under-privileged girls with clothes. They work with many different different local and national companies to make this possible. This amazing vision came from a 15 year old girl name, Alison. She wanted to make a difference in young girls lives. She felt every teen age girl should get the chance to have a brand new outfit at least once in their lives. 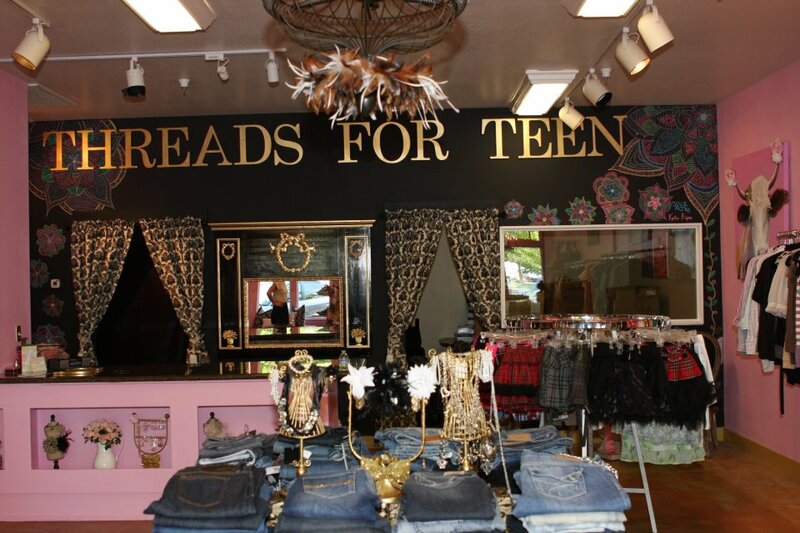 So she decided to create this charity to outfit 10 girls in the Northern California area. She reached out to several companies and was overwhelmed at the response she received. The volume of clothing she was sent required a place to be store and again she was rewarded with an empty store donated by a local business. It was to help her for three months till the donated clothing was gone. This allowed her outfit more than 10 girls and exceed her original goal. Three months turned into a year and the clothing keep coming. She faced her next challenge when the owner of the store need the space. Her good works were once again rewarded with that same owner donating a store front in the trendy part of town. They were able to decorate this new space and is their permanent home. Girls continue to come in and get the ultimate VIP experience. What this entails is being able to choose two head-to-toe outfits, along with many extra goodies all donated by locate and national companies. Now graduating from high school this year, Alison wanted to take this concept national. Being too hard to set up a store in every state, she came up with an ideas of a national tour and took the store on the road. 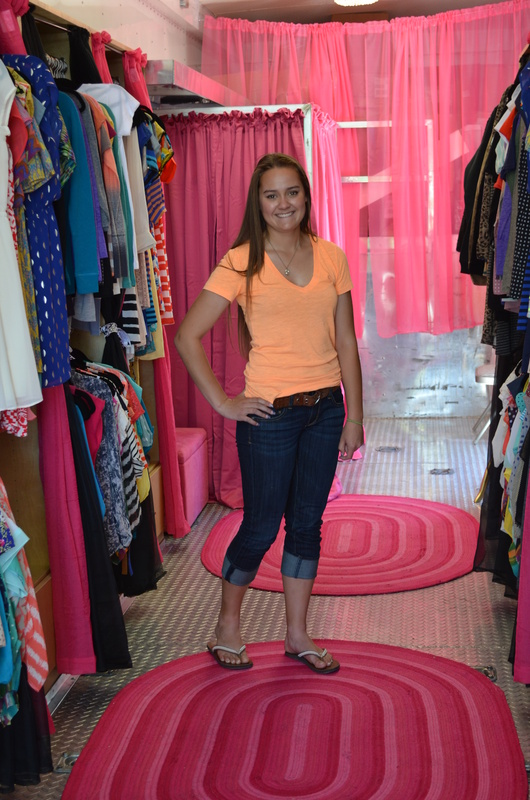 With help from sponsors like Ford Motors, Tommy Hilfiger, Madden, Francisca, to name a few, she created this mobile store and will visit 48 states this summer to help cloth under-privilege teens. She kicked off her tour at our hotel on Tuesday June 28th. Using our ballroom circle as her stores parking lot, She outfitted several girls. They came from all over Los Angeles and San Fernando Valley. This exceptional girl is an inspiration to all. We were honored to host such a wonderful event that will touch so many young lives. We wish her luck on the current tour and continued success of their store. This entry was posted in Universal City and tagged California, Charities, charity, clothes, clothing, Events, family friendly, hilton, hilton universal, Hollywood, Hotel, LA, local event, local events, Local Festivities, Los Angeles, near hilton hotel, near hilton universal, near hilton universal hotel, near Universal Studios, special event, Teanagers, Teens, Threads For Teens, Travel, Universal City, venue. Bookmark the permalink.